Over time, we have seen with dismay, the blatant abandonment of various projects geared towards citizens social development awarded to agencies and parastatals at federal and state levels as they use these project funds for enriching their illicit gains. This is evident in the long forgotten proposed water project for Olode community of Ife South LGA in Osun State reportedly awarded to the Ogun-Oshun River Basin Authority (OORBA) under the administration of Akintunde Soyemi, as no effort of project commencement was recorded which has in turn affected the community as it is now more like a desert land owing to lack of access to potable water. 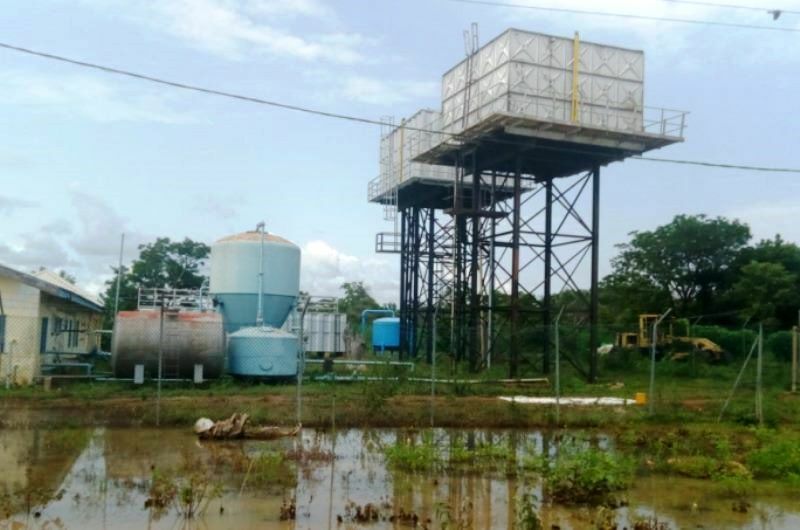 According to information gathered by SecretReporters, the contract of the Olode water supply scheme (II) project initially documented with reference number OORBDA/S/472/2014/vol.1/018 was officially dated to commence on September 2014 with the project proposed to be completed within two months. Out of the N40.5Million budgeted for the proposed water project reported to be amongst other project was part of the N5billion capital projects proposed to span across southwestern part (Lagos, Ogun, Oyo, and Oyo) of the country. On another hand, in the 2016 audit report, it was revealed that the contract was recorded to be 95 percent completed with a total of N17.2million (42.4%) certified to have been paid to the contractors handling the project execution. However, five years after, the site has now been converted to a mechanic workshop with the big reservoir which was supposed to house the pumped water from the water dam all dried up with no traces of any human activities around. Indigenes from the affected communities thereby call on the relevant authorities to review the 2016 audit report and ensure these project money geared towards social development of citizens are all accounted for by the agencies in charge.